Just because you have a wallet full of rewards credit cards, doesn’t mean that you’re necessarily making the most of them. Some people earn thousands of miles / month with their rewards programs, but those same people may also be missing out on thousands of rewards by not spending and redeeming wisely. In this article I’m going to break down 5 of my favourite tips for making the most of your rewards programs. If you were to draw this flight on a map, it would look like an open jaw and that is where this form of booking gets its name. In the photo below, I’ve added some teeth to better illustrate the analogy. The black lines indicate the flights booked on an “open jaw” ticket. The blue indicates overland travel. Open jaws are great for people who want to add a road trip into their itinerary, or for those who just want to return home from a different place than where they landed. An example of an open jaw flight would be: you fly from Vancouver to London, then you travel by land to Morocco and then fly back to Vancouver from Morocco. A return flight from Vancouver to London would cost around 60,000 points. 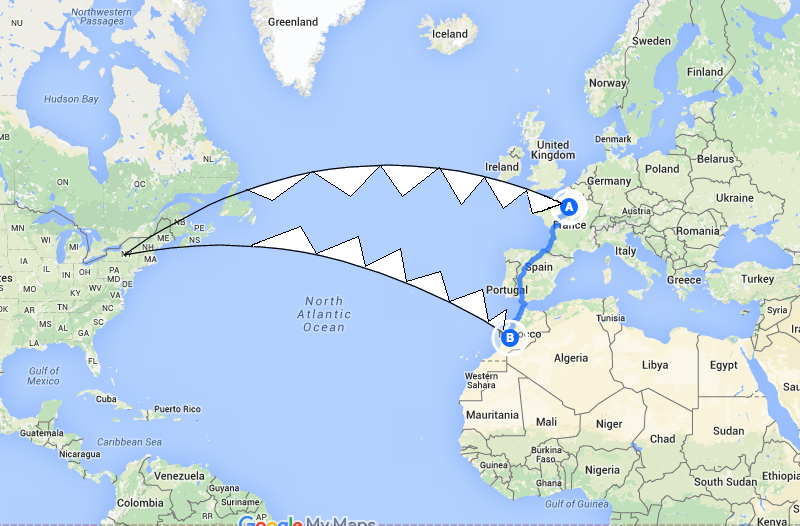 To fly in to London and then fly back to Vancouver from Morocco would be the same, 60,000 points. Booking these flights with cash or credit (instead of rewards points) would be a lot different. You’d probably want to book a return trip from Vancouver to London to save money, meaning that you’d have to make your way back to London to catch your return flight home. If you were to book it separately as we did above with our rewards flight, you’d spend much more money. Possibly even a better rewards hack than open jaws, stopovers are a special for rewards flyers (meaning you won’t get them if you pay with cash or credit for your flight). If you’re reading this and thinking: “I hate stopovers, I was in the Toronto airport for 6 hours!”, you’d be thinking of a layover. A stopover is a stop in a flight itinerary that is over 24 hours. This means that you can actually leave the airport and explore for a week, a month or even a year! Let’s say you’re flying from Vancouver to Barcelona for 60,000 rewards points. With some airline rewards programs (particularly Aeromiles with Air Canada), you can add a week-long (or up to 1 year) stopover in Paris. This will still only cost 60,000 rewards points so you essentially land yourself two trips for the price of one! The real hack when it comes to stopovers is calling your home airport a stopover. Let’s say you fly to London & back on a holiday. You can call your home airport a stopover and then (up to a year later) fly to another destination… for free! It takes some extra planning as you’ll need to book one and a half holidays at once, but it could save you a lot of money because you’ll get one way free and then only have to find a cheap one way flight back home. One of my favourite ways to get a lot of airline miles and rewards points all at once is to sign up for multiple credit cards based on high sign-up bonuses. Our Canadian credit cards may not have as high of sign up bonuses as the American ones do, but we can still pocket a lot of money by making the most of a sign-up bonus spree. Click here to read a great article by The Poinster that really outlines this hack well. You can really maximize your miles by redeeming them in the right places. The TD First Class Infinite card for example, gives you a pretty healthy 1.5% cash back return on your purchases. But if you book your award travel through Expedia with TD, they’ll triple the value of your points esentially giving you 4.5% cash back on all your purchases! 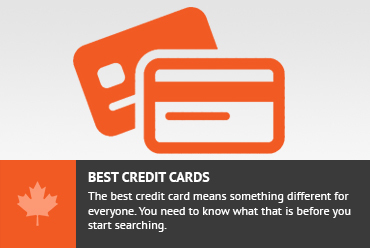 If you really want to rack up points, you should have a few different credit cards. Some cards will give you more points for redeeming at the gas station, while others at the grocery store and some on Amazon. You should know which cards are best for what and ALWAYS use them where they’ll give you the most rewards. Make your credit cards work for you and watch your miles add up quickly. Don't subscribe All Replies to my comments Notify me of followup comments via e-mail. You can also <a href='https://www.creditwalk.ca/comment-subscriptions/?srp=4555&srk=2648578ecea05c83754707575dc5a494&sra=s&srsrc=f'>subscribe</a> without commenting.